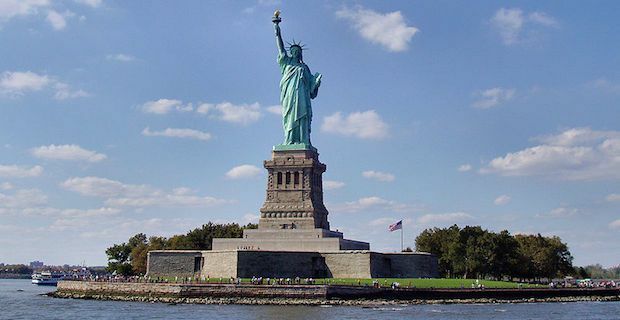 If you are heading to New York City for a short visit, here are some spots to check out if you are feeling a little homesick. We have unearthed some familiar feeling restaurants, teashops and much more for Brits in New York. Tea & Sympathy on Greenwich Ave is one of the top NYC British restaurants. They have a selection of tea choices and scones, but beware that there is a $12.50 minimum spending charge. There are only 10 tables in this rather cramped setting, but if you do get in, you won't be disappointed with the quality of food on offer. The staff supposedly aren’t the friendliest, but the British puddings with real custard can more than make up for that. Podunk is a cheaper eating option and is just as good as Tea & Sympathy without the minimum spend requirement. The relaxed atmosphere, friendly staff, extensive tea list and no Wi-Fi policy make for a perfect combination for a low-key place to chat with friends. Choose from fresh scones and cakes with mouth-watering jams and creams to compliment them. Chip Shop is the place to go in Brooklyn if you are craving fish and chips or anything at all that is fried. They offer other British dishes like a full English Breakfast for $10 and Bangers and Mash for around $12. To accompany the dishes you can choose from British beers on tap, a Lilt soft drink or even Ribena. While there isn't much of a British atmosphere here, the fried Mars bar and sticky toffee pudding will have you getting your fill of home. For those of you staying with a friend or an AirBnB where you will be cooking for yourself, make your way to 634 Hudson Street where Myers of Keswick is located. Here you can buy authentic British groceries such like Heinz Baked Beans, Branston pickles chutney, HP Steak sauce and McVitties chocolate biscuits. They even stock UK dishwashing soap if you need a familiar scent while washing up. If you are looking for some fellow Brits to hang out with, check out the social networking community, Big Apple-Brits. Their mission statement is "Keeping Us Connected" and they do just that. There are a range of events that people who are based in New York City area join up to do together. Check out the Facebook group and you might be in town to hit up one of the monthly happy hour meet-ups they organise.